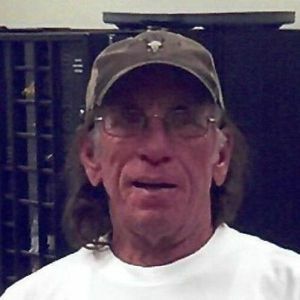 Edward "Eddie" James Ridgel, Jr.
Edward "Eddie" James Ridgel Jr., age 65 of Tickfaw, Louisiana, passed away suddenly on Thursday, March 14, 2019, doing what he loved most, fishing. He was born on Sunday, August 2, 1953, in Roswell, New Mexico, to Edward James Ridgel, Sr. and Lucille Rogers Deli. Eddie had the gift of gab and loved talking to people. He enjoyed life and loved fishing, hunting and computer games, but he especially loved spending time with his family. Eddie loved his country and served proudly in the U.S. Air Force and Navy. Eddie is survived by his daughter, Tuneea Magee and her husband Rodney, his son, Edward "EJ" James Ridgel III and his wife Cassie, his mother, Lucille Rogers Deli, his brothers, Jack Ridgel, Sr. and his wife Donna, Dean Ridgel and his wife Stephanie and Marc Ridgel, his sister, Paula Demars, his grandchildren, Trevor Ridgel, Holleigh Ridgel, Cayla Ridgel, Sophia Ridgel and Luke Ridgel, special nephews, Jack and Roy Ridgel, also many other nieces, nephews, cousins and close friends. Eddie was preceded in death by his father, Edward James Ridgel, Sr.
A Visitation for Eddie will be held on Wednesday, March 20, 2019 from 9:00 am until 12:00 pm at Harry McKneely & Son Funeral Home in Hammond. A Funeral Service Celebrating Eddie's Life will immediately follow visitation at 12:00 pm in the funeral home chapel. Interment will follow at Stevens Red Hill Cemetery in Independence. Eddie's guest book can be viewed at www.harrymckneely.com. My deepest condolences to the Ridgel family.